1600 pounds of garbage a year. Thanks for trying our service! You’ll hear from us soon. Our Approach Makes Composting Easy - Even If You Live In An Apartment! 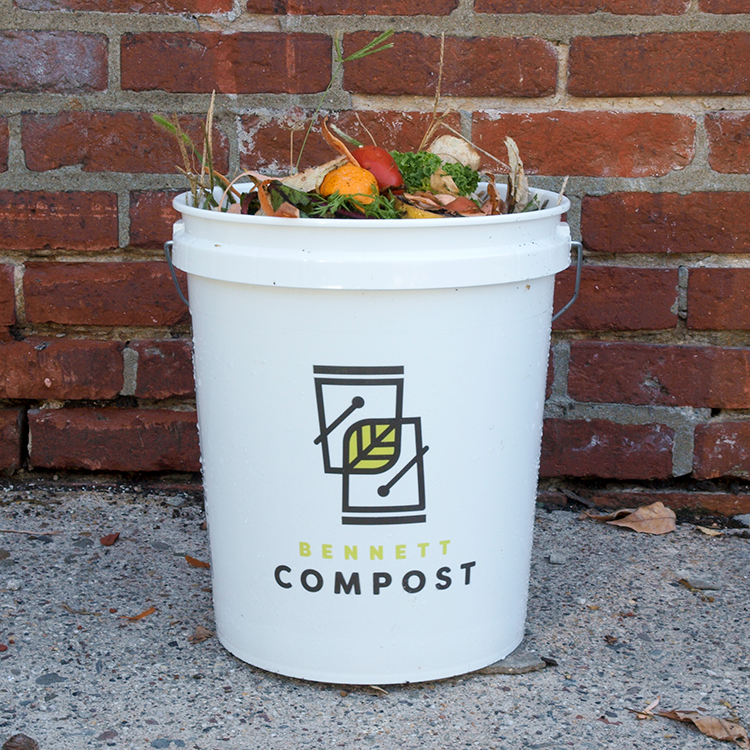 We started Bennett Compost with the city-dweller in mind. Our five-gallon bucket is the perfect size for individuals and families, and comes with an airtight snap on lid that keeps smells in and pests out. We pick up buckets weekly from homes and apartment buildings throughout the city weekly, and can even drop off a fresh bucket or an order of our compost products at the same time. Leave your bucket outside in the evening before your collection day - we'll make sure it's emptied in the morning! You can compost more than you think! Check out The List and FAQ for more details! We offer monthly and annual payment options for our weekly composting pickup. Monthly clients are billed automatically on a monthly basis or opt to pay annually to receive one month free! Service can be cancelled or transferred to a new address at any time throughout the year and covers collection of 1, 5 gallon bucket. Pay Annually + Get 1 Month Free!